There are 14 reviews of Venezia (original). 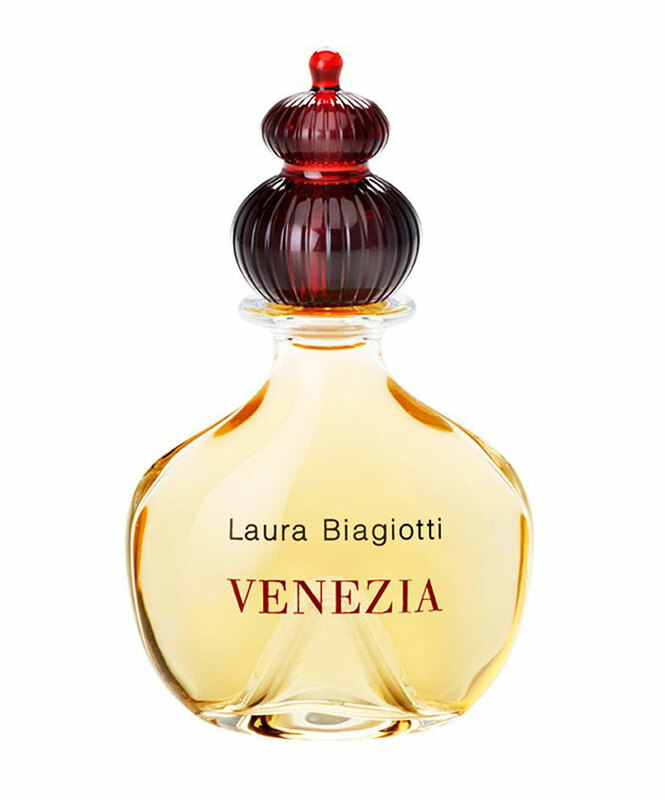 This is a review of the vintage Laura Biagiotti version, in edt formula. The opening is very sweet and spicy. Plum, sandalwood and what I thought was cinnamon. My first thought was of a Serge Lutens fragrance- a spicy, fruity oriental. The heart is a wonderful, warm sandalwood with vanilla. Longevity is tremendous. It has been going strong for six hours- that's a lot on my skin. This is not my favorite type of fragrance, but it's lovely opulence suggests a thumbs up. Perfect for winter. The scent of boudoir.Venezia captures the sence of a sophisticated woman in her boudoir and her vintage bath,pampering herself,making herself ready for her man.a moderately fruity,woody,floral fragrance.one of those soft scent wich surely attracts compliments.not intensely sweet or overbearing.very sophisticated and not at all in your face.it still has a vintage vibe to it which sets it apart from the watered down generic modern day perfume who lack character.Warm, Sweet,Balsamic,Romantic,Memorable,Deeply Enticing and Uterlly Feminine. It opens with ripe,juicy peach,plum,black currant and hints of granium and jasmine.then it notes down to notes of floral(iris,rose,ylang ylang)and spice notes with the perfectly balanced fruity notes,that is not too overwhelming.the base notes of amber,tonka bean,sandalwood,benzoin,vanilla and a little civet are finely blended to give a masterful mix for hours of delight and desire.to my nose plum and cinnamon stant oud the most on a rich sweet background which gives it and elegant and someshow classic aspect.it is suitable for day or evening autumn wear.definitely worth a try if you are looking for a combination of romantic,classical and a modern fragrance notes. I cannot speak to how close to the original this is but on my skin it is lovely. It has a powdery almond feel, lots of smooth, creamy sandalwood, just a hint of sweet tart fruity floral and balsam. According to LLP the notes are include "top notes of black currants, plum and sandalwood. Middle notes of jasmine, ylang-ylang and sandalwood. Dry down notes of musk, balsam tolu and sandalwood. The sandalwood is the main note on my skin, supported by hints of all the others to make it interesting. If you like scents like Habanita and KM Loukhoum, this would be up your alley. Venezia is a pleasant balsamic-plum take on Guerlain's Samsara - very similar in body and effect but milder and fruit-forward - less sultry and more openly playful. Though I much prefer Samsara this offering is a very pleasant, Spring-like scent reminiscent of plum sake minus the sweetness. This is to the 90's what flanker scents like Flower Princess are to the '10's; It's breathy, spacious, and superbly restrained. This smells like a good mood. Venezia is very pleasing to me. I own a small bottle of the original & truly enjoy the combination of fruit, bergamot & spicy notes. It is cheerful & warm without claustrophobic heavy oriental qualities. I can wear it in many different circumstances & in different seasons. I wish I had more.. This review is for the original Laura Biagiotti version. It opens with a floral 'bite',I assume, from the wong shi blossom. The florals and oriental notes swirl together until the rich, ambery notes take over in the drydown; the Italian honeyed fruits add to this scent's overall warmth. The smell of the fragrance reminds me of golden crushed velvet; very smooth and plush. Sillage is mediocre but persists 8+ hours after application. I typically still get faint whiffs of this in my hair and on my clothing the next day. 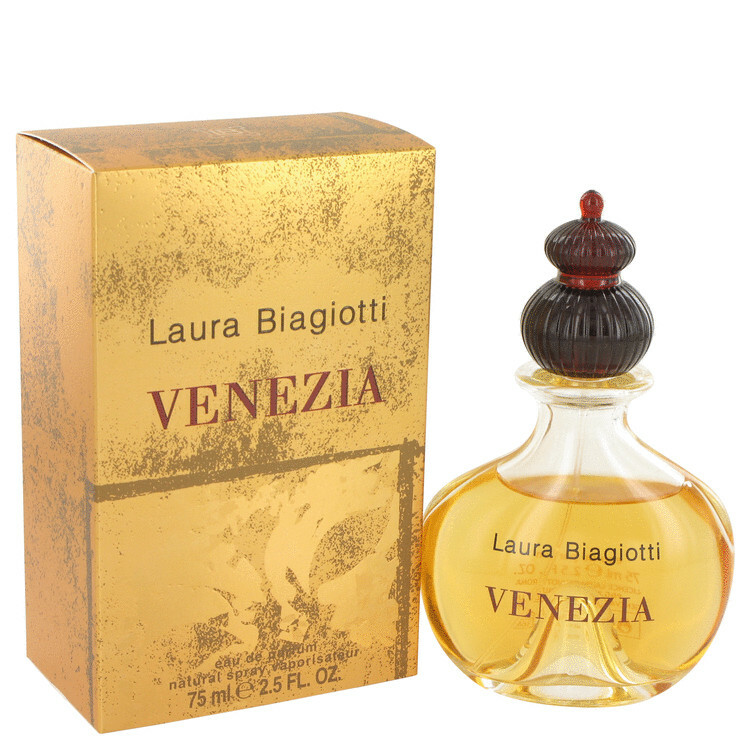 Vintage Laura Biagiotti â€˜Veneziaâ€™ Eau De Toilette With Box. Original Formula. There are no member images of Venezia (original) yet. Why not be the first?